Imagine getting the rare opportunity to cook alongside some of Pittsburgh’s most decorated chefs. It will become reality for the teenagers who attend Camp Delicious! this summer with a host of culinary masters. Luminari is excited to announce this year’s Camp Delicious! director, Chef Roger Levine. Roger is well-known in the culinary community. His gregarious nature and passion for teaching serve him well as assistant professor of culinary arts at the Art Institute of Pittsburgh, where he’s taught for the past 15 years. Roger also is a leader in the community, lending his time and talents to several charities. Camp Delicious! students will have the opportunity to learn culinary skills from the best in the business! They’ll also get a taste of chef Roger’s passion and philosophy about food and the role it plays in our communities. 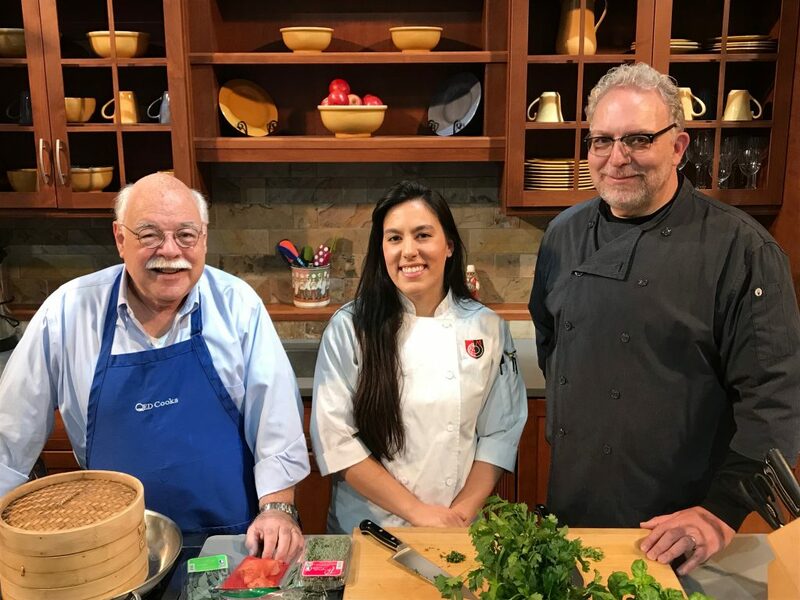 Joining Chef Roger in the Luminari kitchen and back by popular demand, we are excited to announce WQED’s Chris Fennimore once again will lend his talents to the Camp Delicious! team. The cookbook author and beloved host of “QED Cooks” for more than 20 years, Chris will introduce our teens to delicious dumplings from different parts of the world. “The most important thing about Camp Delicious is the attitude and the enthusiasm of the campers!,” says Chris. He and Roger are thrilled to introduce a special treat for them this summer—guest Chef Jamilka Borges, Pittsburgh Magazine’s 2018 chef of the year and a former student of Roger’s. Additionally, WTAE-TV anchor Michelle Wright, also an expert beekeeper, will make a special appearance to introduce her honeybees. Roger’s dynamic leadership team includes two sous chefs who are both Roger’s students at the Art Institute. Taylor Flora brings her talents as a chef at Wheelfish in the North Hills, and Treyvon Brack offers his skills as a chef with the nationally acclaimed Superior Motors restaurant in Braddock. We’re happy to welcome Roger and his amazing culinary team to Camp Delicious! Now, let’s all get cookin’! Summer is just around the corner! Camp Delicious! is a great way for teens to take advantage of the season by learning to make delicious meals, learning about sustainable food sources, and tasting different flavors and food combinations. To sign up for Camp Delicious! or learn about all of our unique summer camp opportunities for teens, call us at 412-877-1888.